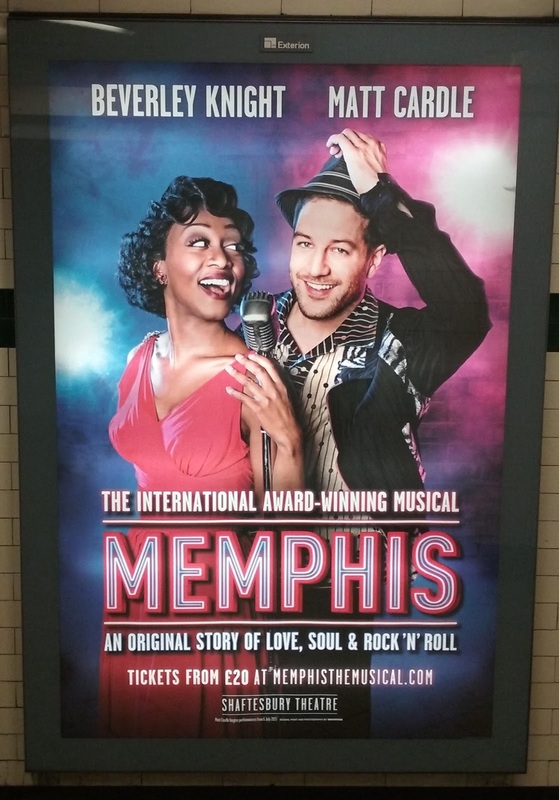 If you've been following my blog for any length of time, you may have noticed that I am particularly fond of Memphis the Musical. The music is a mix of toe tapping numbers and powerful ballads, the choreography is incredible and the story is full of ups and downs, comedy and drama. 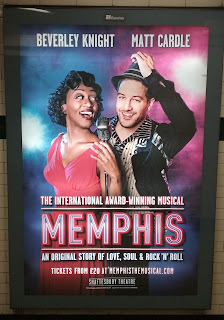 For me Memphis is everything a great musical should be, and more. I first saw the show all the way back in October, while it was still in previews, and it's been wonderful revisiting it every couple of months and seeing how elements have developed, and how the cast have gotten more and more amazing in their roles every time! I am totally in love with the Beverley Knight and Killian Donnelly in the main roles, however, from my very first visit I was also very keen to see both alternate's takes on Huey and Felicia too, and so when I noticed that both leads were due to be off on a Saturday, I made a spur of the moment decision to see the show again. Day seating was my best friend that day! Although I had to get on the slow train up to London at 5:40am (!!!) to get in the queue for 7:30, when the box office opened at 10am, I managed to buy two almost central front row stalls seats (I decided to treat my sister to an early birthday present) for £20 each! I definitely recommend day seating for this show, as the view was utterly fabulous! I'm sure I don't need to tell you that the show was incredible! I raved about it in my last 3 reviews/recounts, so really this post is more of a recount than a review. 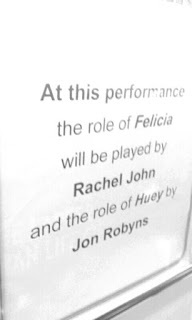 I do however, want to talk about the Huey and Felicia alternates, Jon Robyns and Rachel John! BB14, I could't have asked for better! 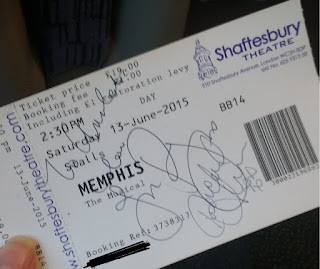 I saw Rachel on my last visit and totally loved her portrayal, and so I was very keen to see her in the role again. Her Felicia was strong and confidant and a little bit sarcastic which was fun, but there was also a vulnerability to her portrayal which was really interesting to watch. As before, her vocals were totally mind blowing. I loved all of the little touches she gave her character, which made her seem believable and made her interest in Huey and his propositions more understandable too. Jon Robyns was totally brilliant as Huey. The role itself is very over-the-top and funny (and at times a little bit odd) and Jon's Huey totally embraced this and lent in to the weirdness, but never went too far, which was perfect. He definitely made the character his own, with little traits/looks/expressions that were hilarious. There were so many little moments that were just wonderful (such as a mimed interaction between Huey and Bobby while he was in the radio booth (I've no idea what the technical name for that is!) during 'Everybody Wants To Be Black On A Saturday Night.') Little details like this which I hadn't noticed when I'd seen the show previously really helped to make this cast and this visit memorable. I was excited to spot this new poster on the tube. shows would think about replicating. The chemistry between the two leads was very strong and compelling and I really, really rooted for them to be together. For this reason, many of the dramatic moments in the show were particularly shocking and/or emotional! I loved the way Huey fawned over Felicia and how Felicia playfully made fun of him. (And I loved the pair's Eskimo kisses (I have never seen that before! It was very cute!)). Overall, as a pairing, there is now no doubt who my favourites are! 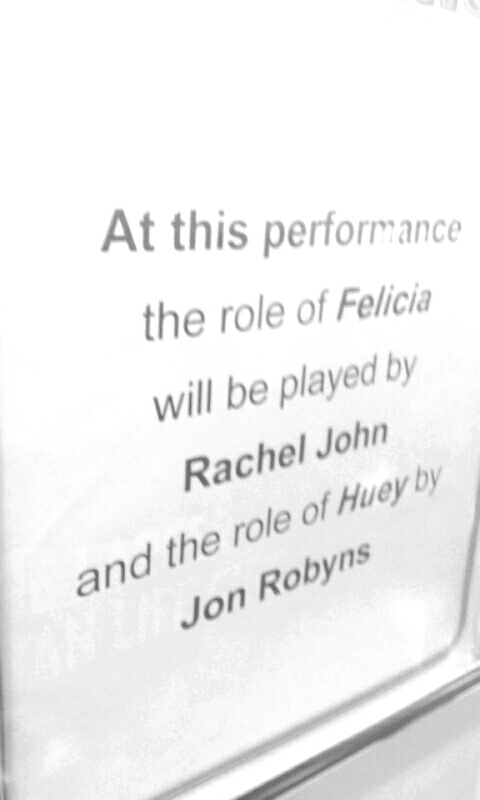 Jon Robyns and Rachel John are my Huey and Felicia dream team for sure! Honestly, no matter who you see in the lead roles, Memphis the Musical is a must see show! I am looking forward to seeing it again next week (my friends and I planned our post West End Live entertainment months before I found out about this scheduled double alternate show. I don't normally return to a show again so quickly, but I'm still ecstatic to be going back again so soon!) and I'll be catching the show again no doubt after X Factor star Matt Cardle takes over from Killian Donnelly in the role of Huey on July 6th). 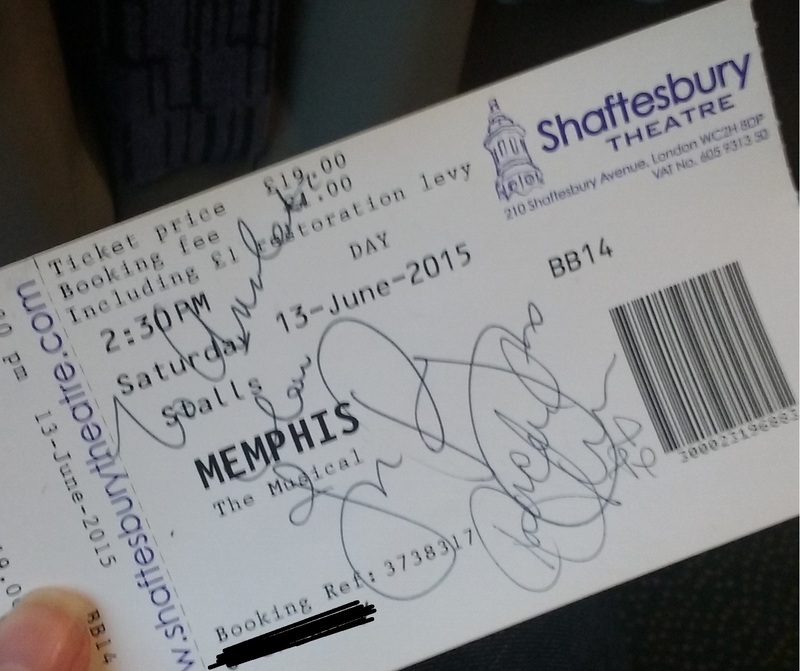 Memphis has become one of my absolute favourite shows, and I cannot recommend it enough! Go, go, go if you get the chance!